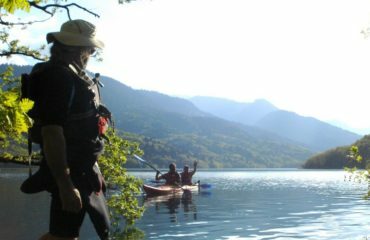 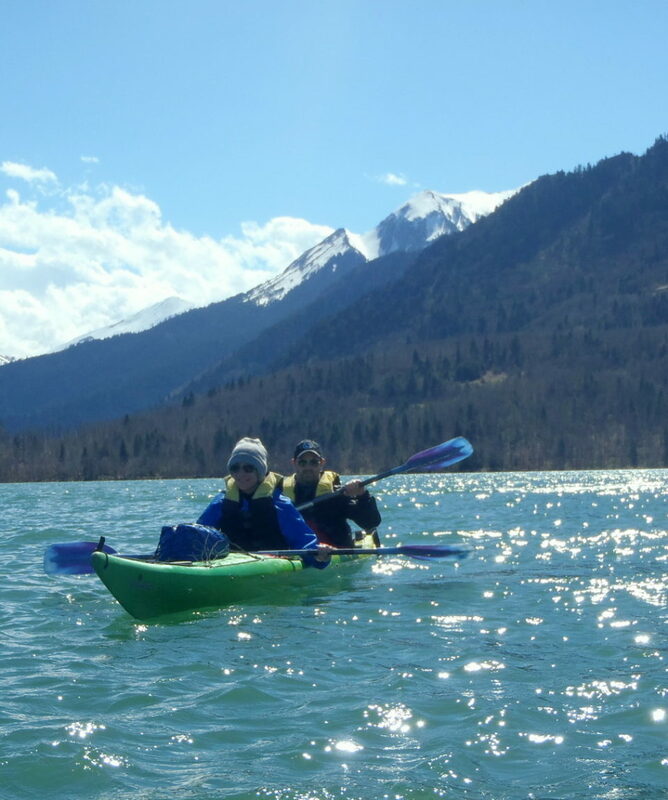 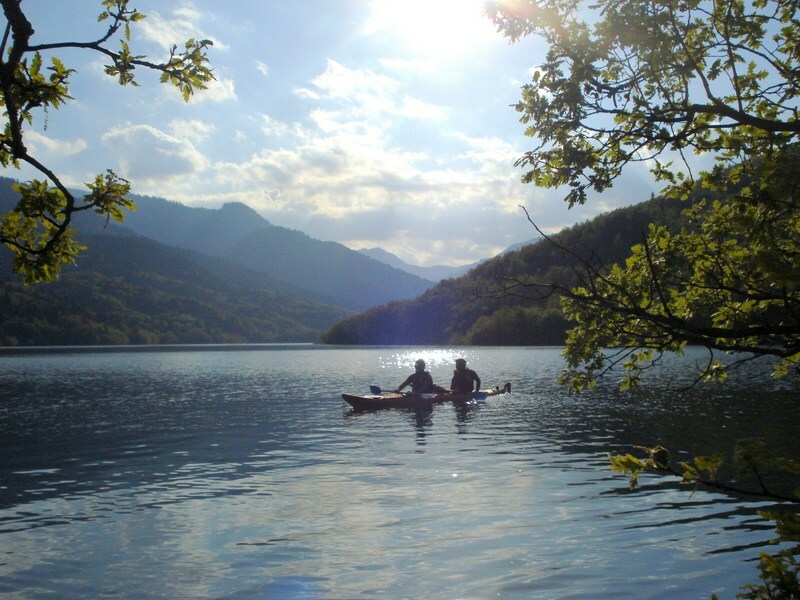 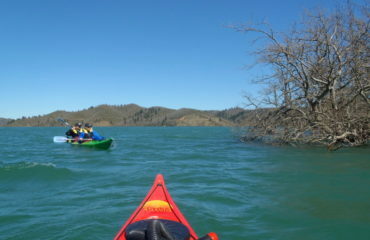 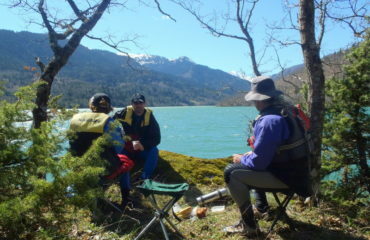 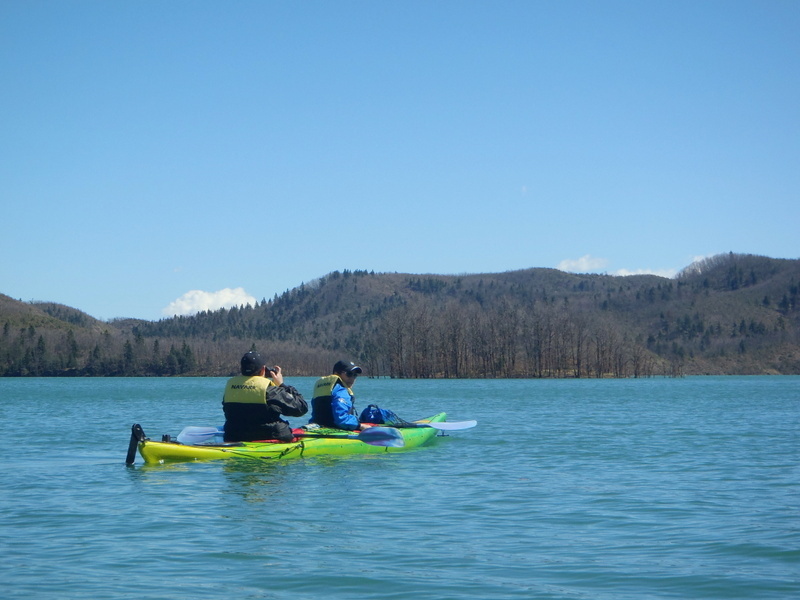 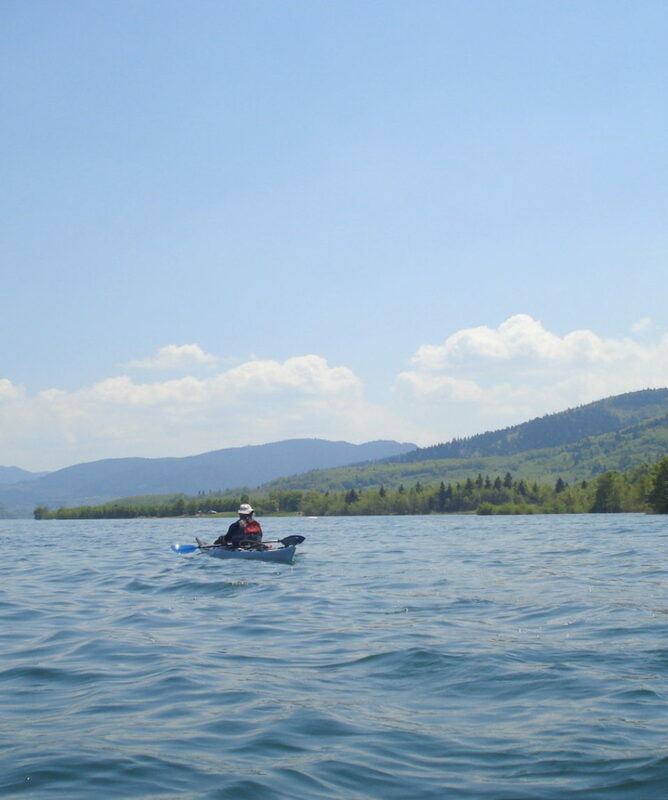 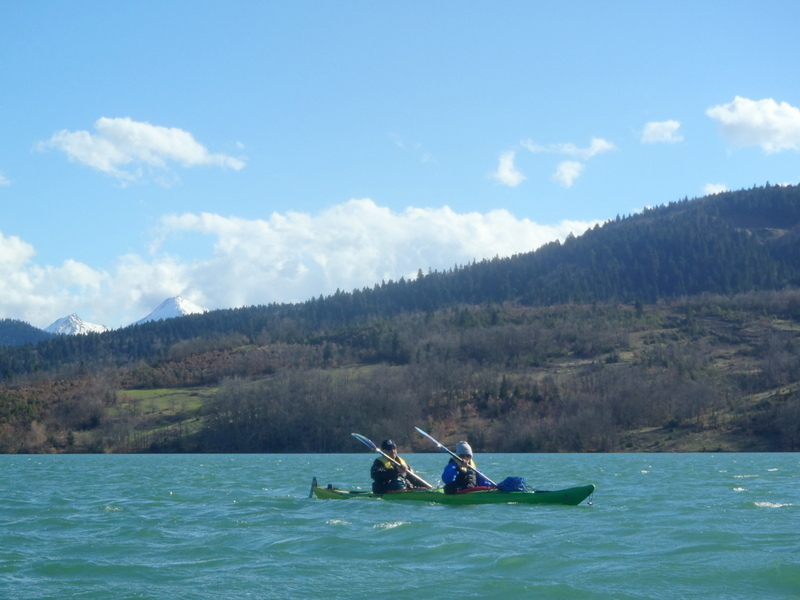 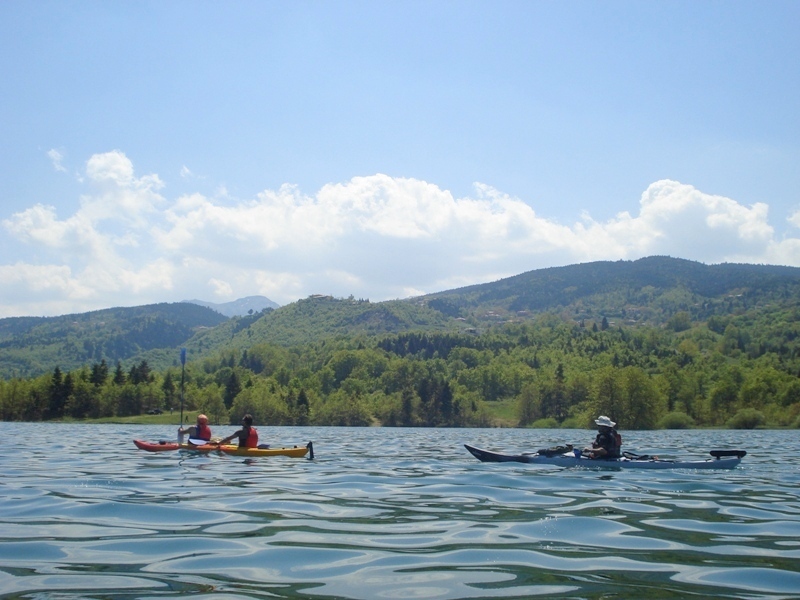 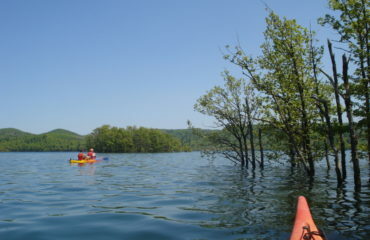 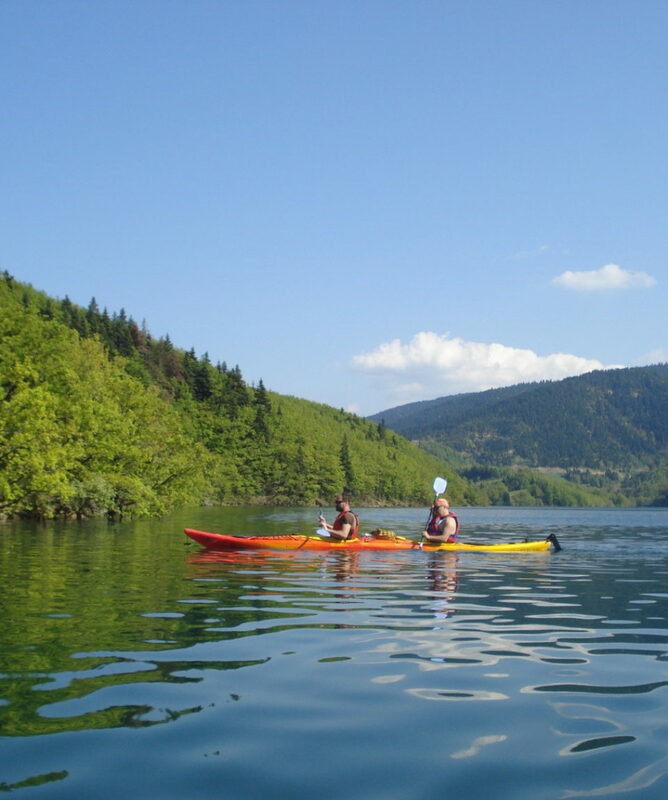 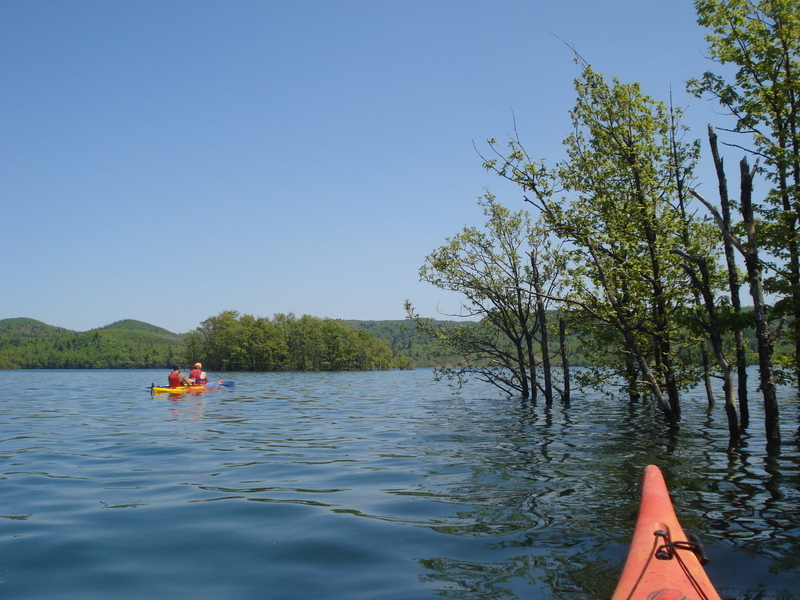 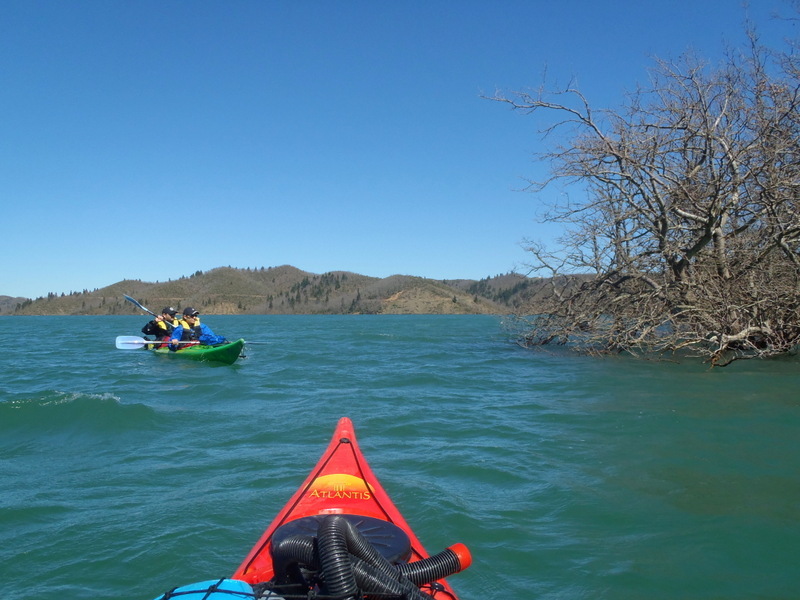 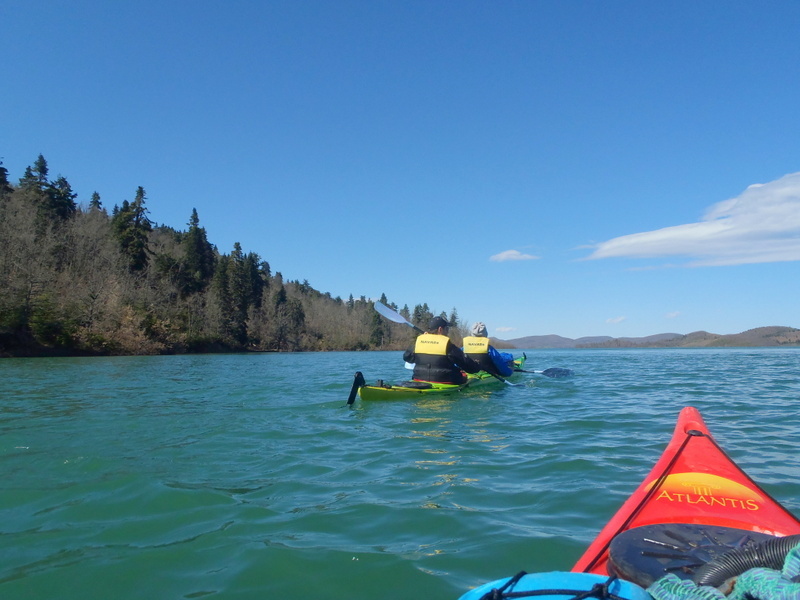 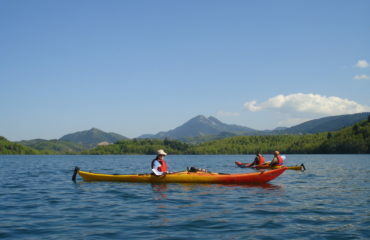 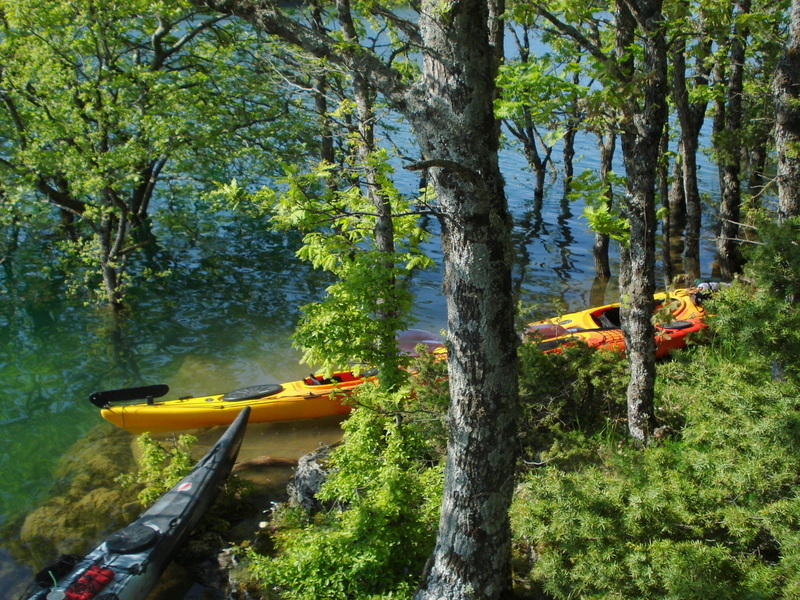 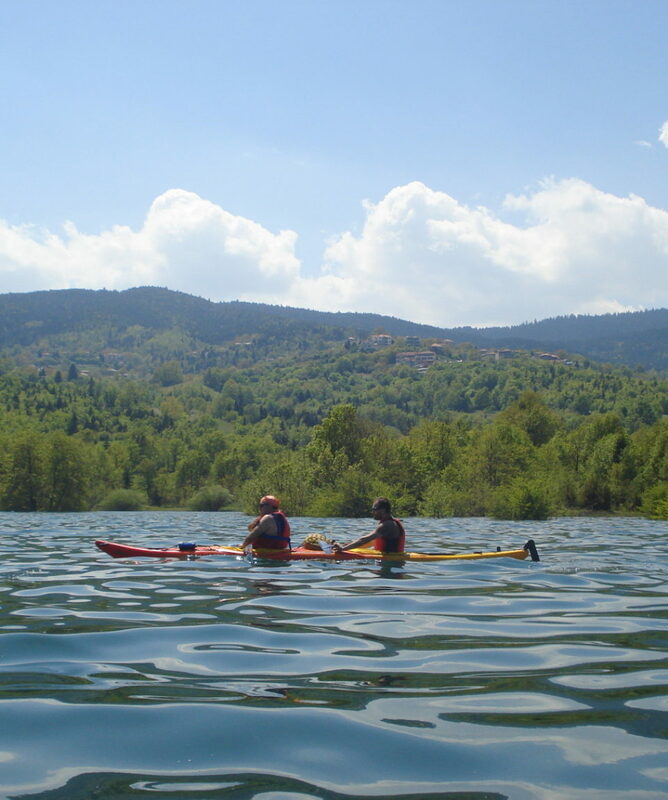 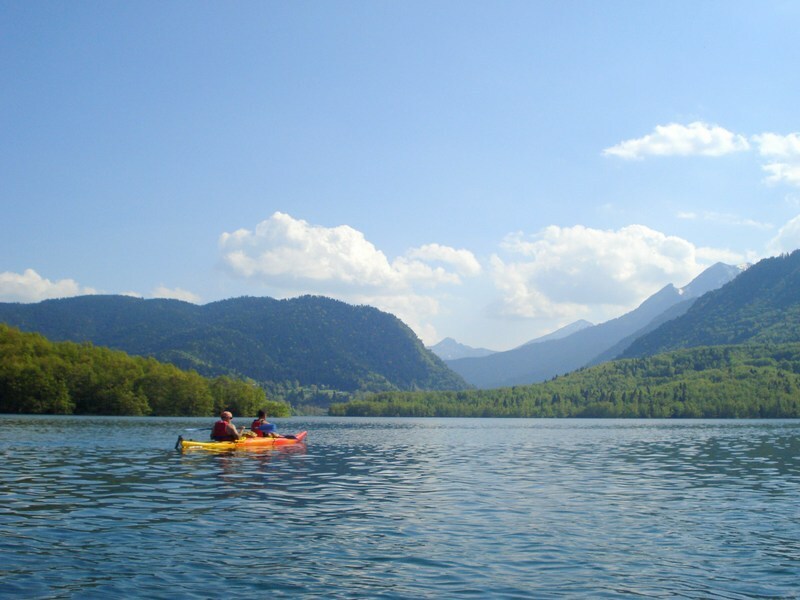 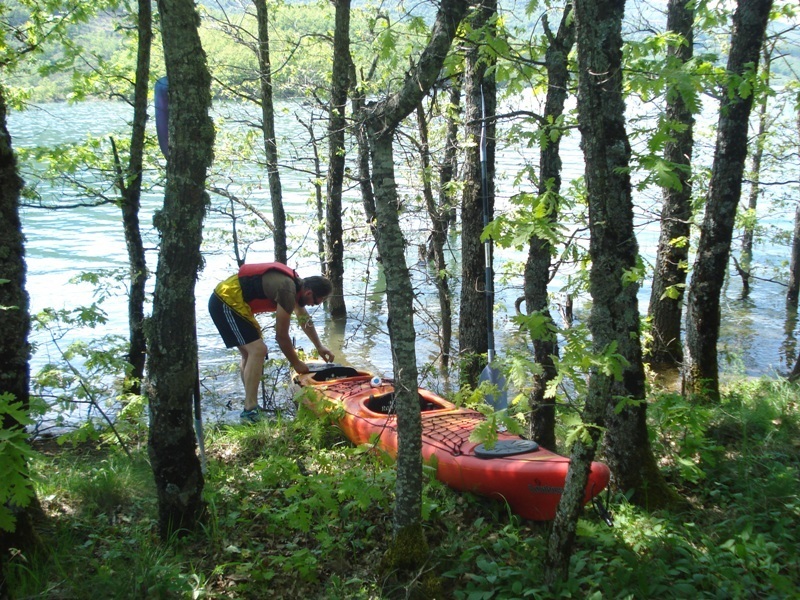 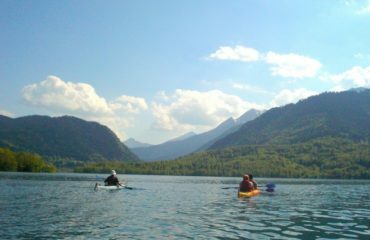 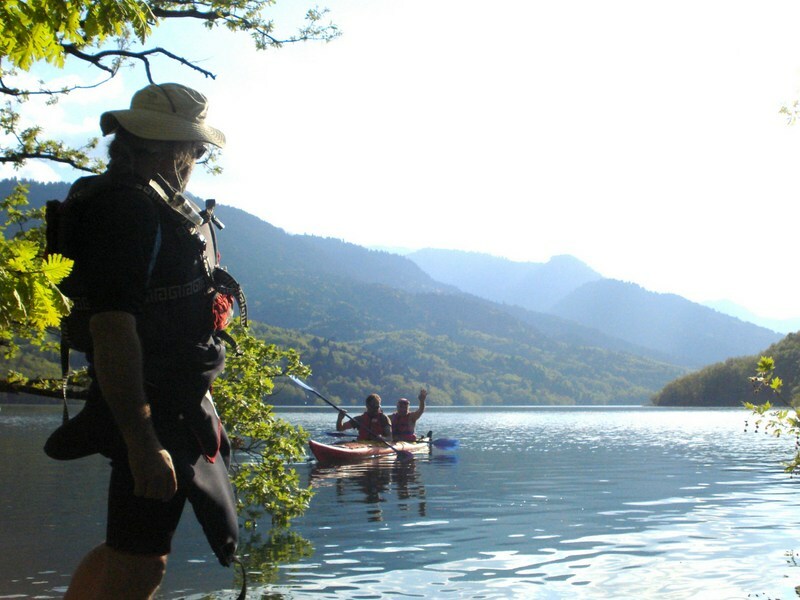 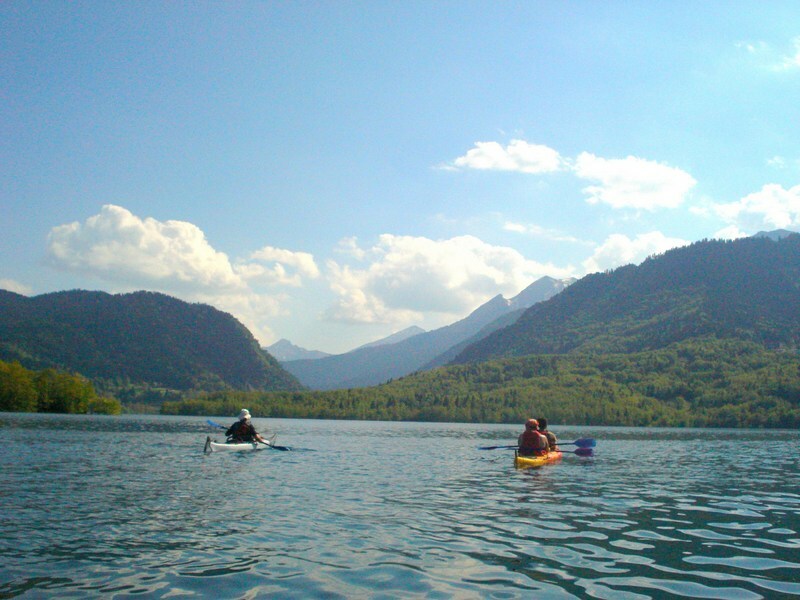 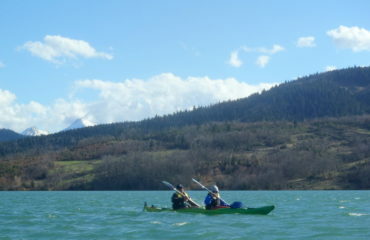 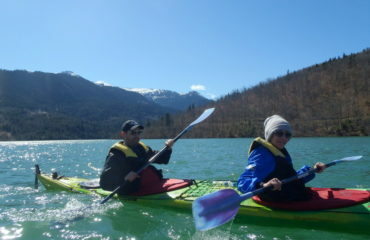 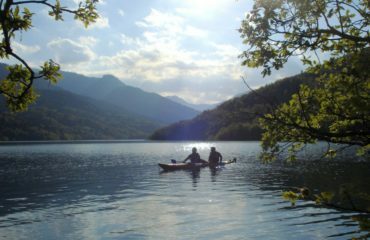 Sea-Kayaking in the lake Plastiras (Tavropos). 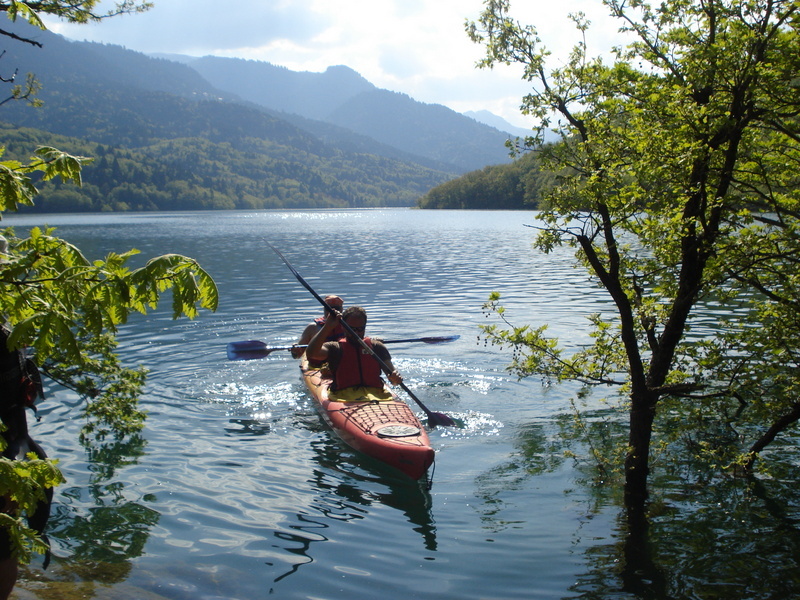 Route description: We meet at the “Botanic Garden”, at the western shores of the lake, in the shadow of the north-east Agrafa summits. 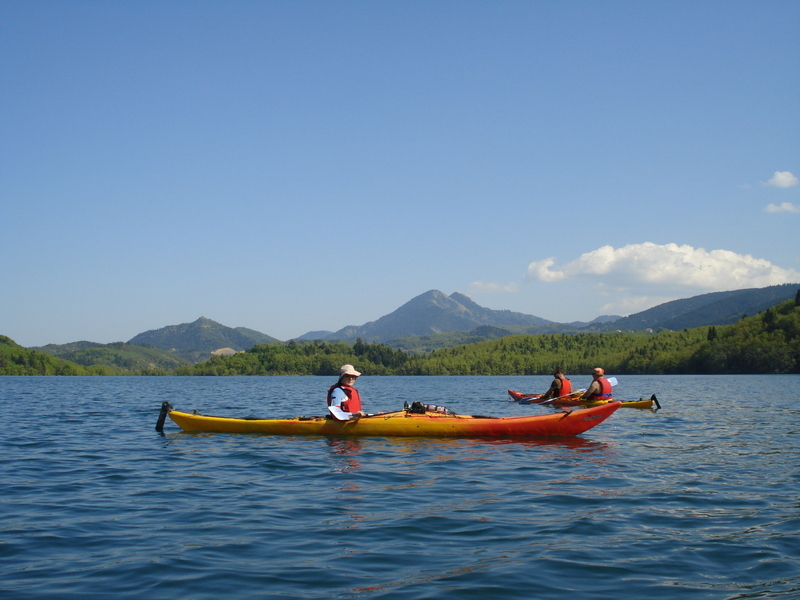 Our sea kayaking wondering begins at the above mentioned meeting point and progresses on a south course, in literally magical environment, along green and immensely forested shore. Oak and fir trees, along with the sharp alpine Agrafa summits – snow caped until late spring – dominate the area, offering dramatic views. 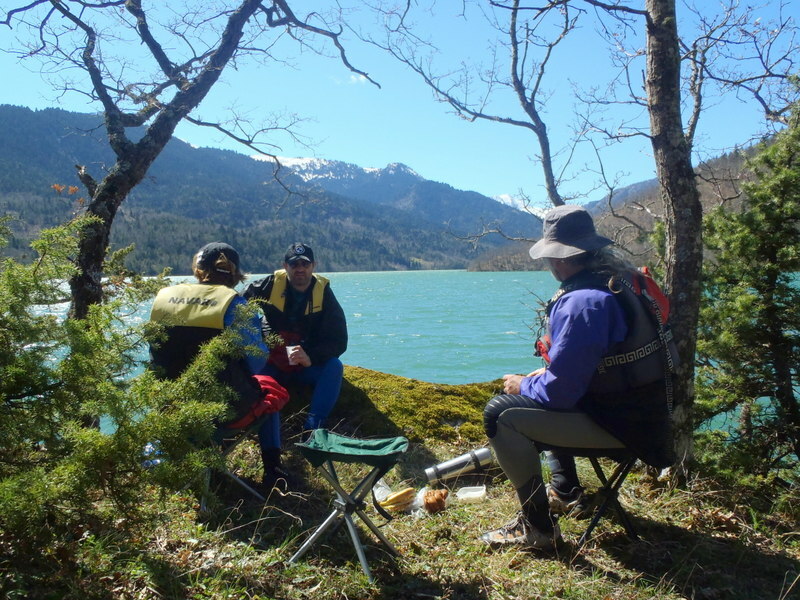 Along the ride, we explore narrow fjords, stop for picnic at tiny lake islands and we endlessly soak the beauty and tranquility this wonderful place abundantly offers. 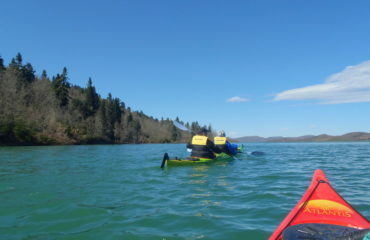 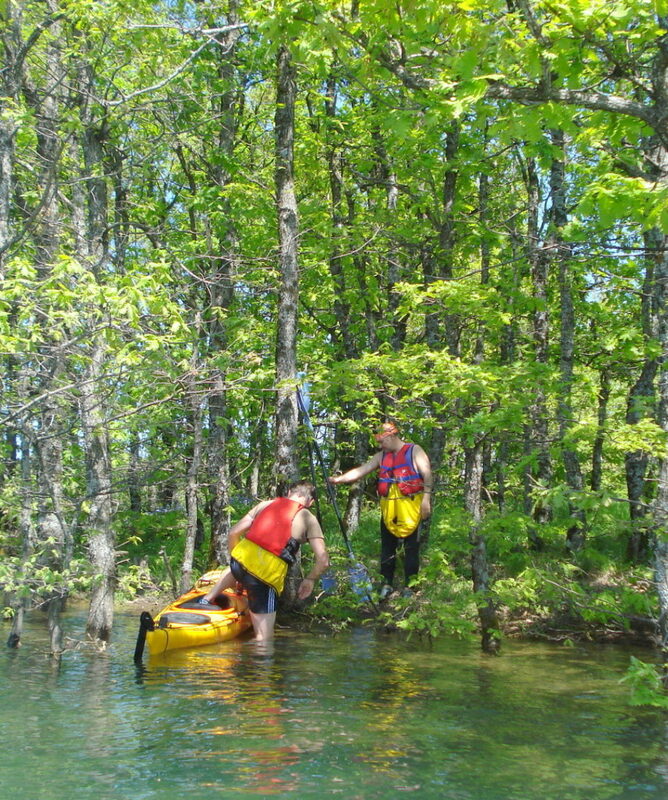 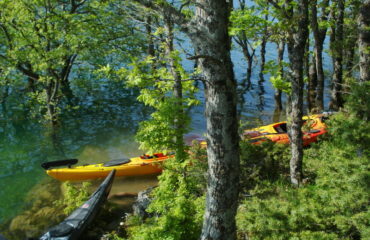 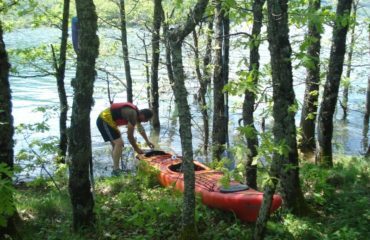 The kayaks give us a nice sensation of autonomy and versatility. 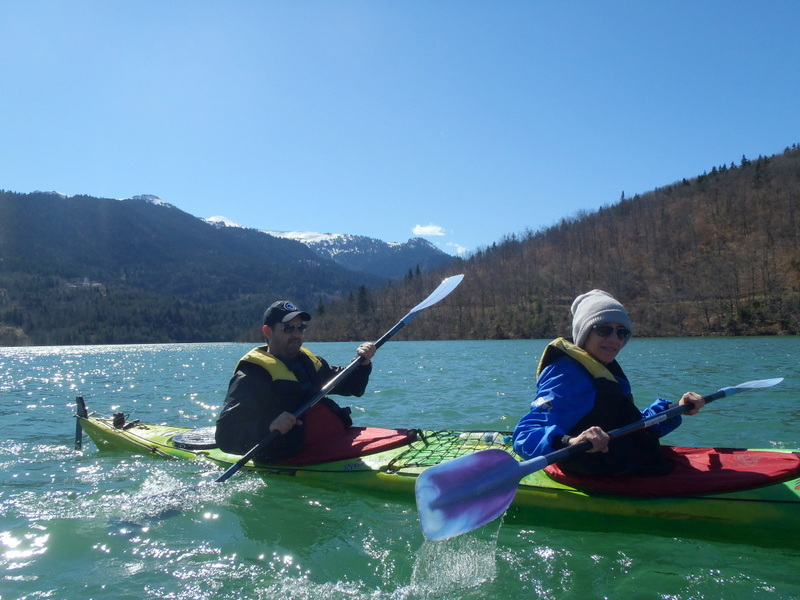 They are quite speedy too…we want to go every possible corner! 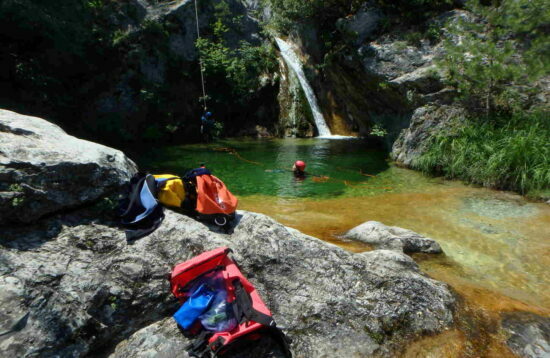 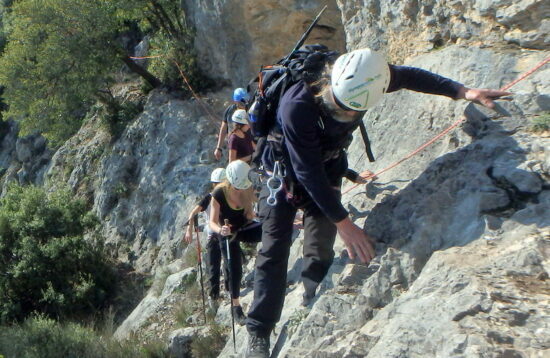 We return – hard decision – filled with pictures, colors and emotions to the starting point for the return home. 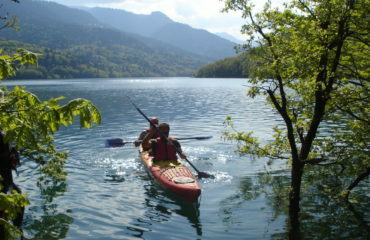 Note that the activity can be done in two-seater seat-on-top canoes. 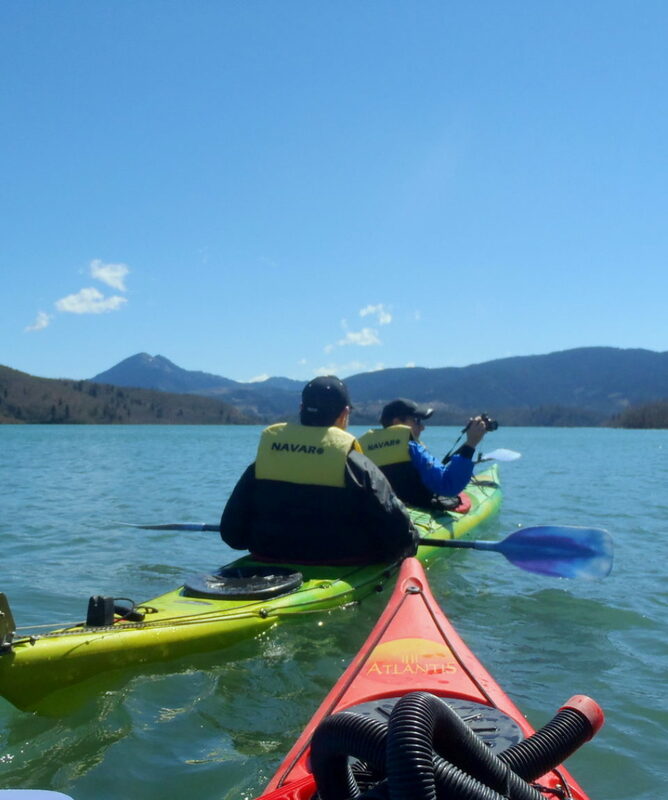 Sea kayaks though, give a greater autonomy as they have luggage nets and compartments, greater speed with less effort, thus, greater distances covered and more places to explore in the lake for the same given time. 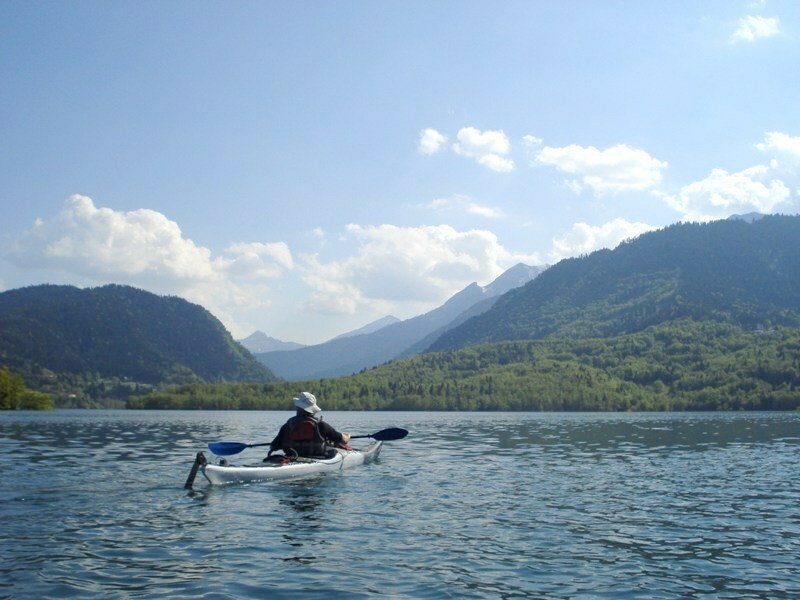 Duration of route in the kayaks 2.30′ to 3.00′ hours of relaxed paddling. 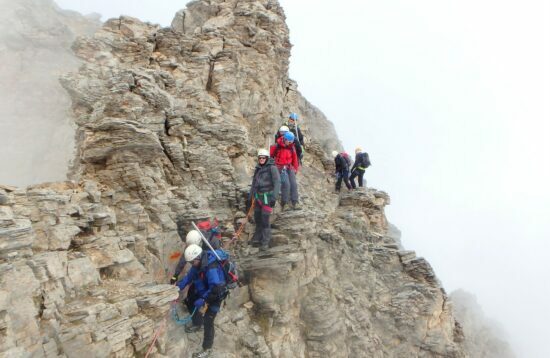 Note that the overall duration of the route, from our meeting to the “ready to go home” time, ranges between 5.00’ and 5.30’ hours. 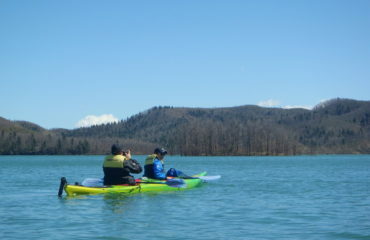 Sea kayaking is quite a sensitive activity in relation to the sea weather conditions.Especially for the Veneto sea caves route, as it is open sea, we need very calm water in order to fully enjoy the cave exploration and the element of favorable weather conditions becomes much more important for complete beginners. 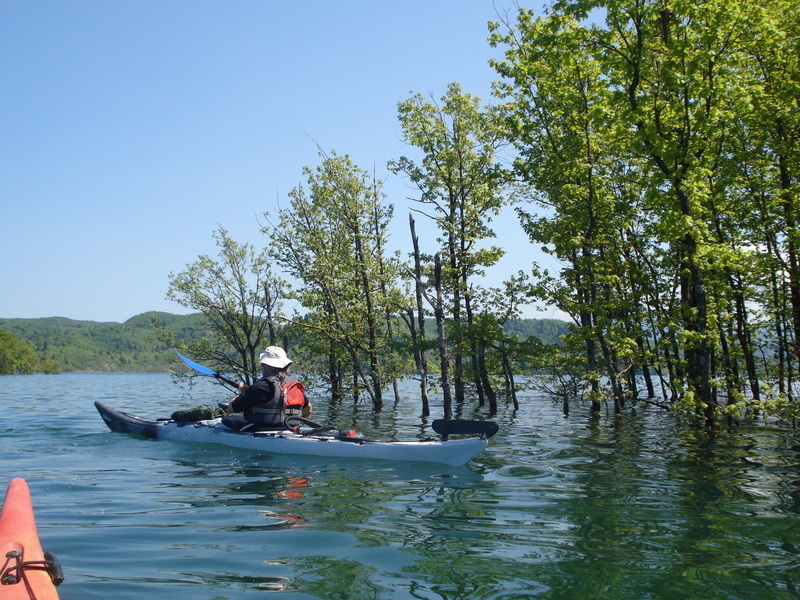 In our experience, the best period for sea kayaking is in the autumn, winter, spring, and early summer before the “meltemia” winds begin, as long as we talk about the Aegean sea. 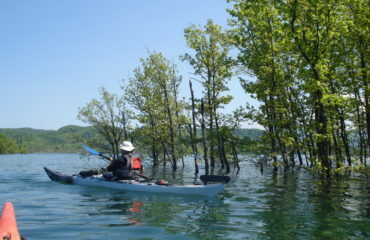 Never the less, even during the meltemia period (mainly July and August), we may have some wind breaks. During the above periods of time, we watch the weather very closely and we are in position to know the exact conditions per area, up to six days before. 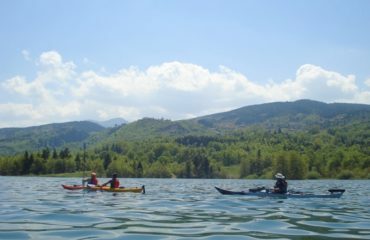 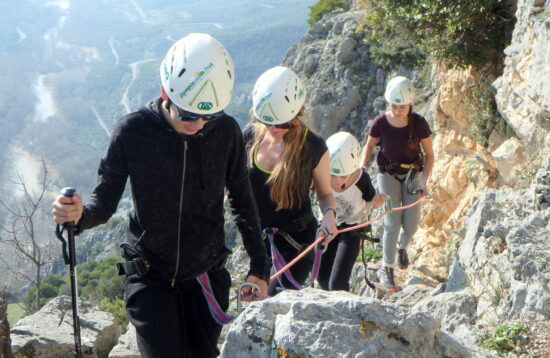 You only have to “put your name down” on the list of interest for this activity and we will inform you as soon as we have the right weather for it.